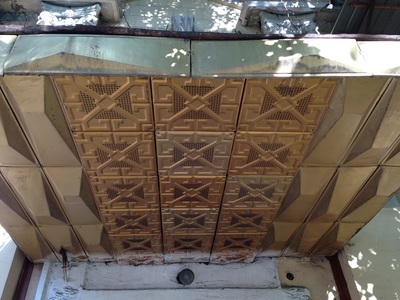 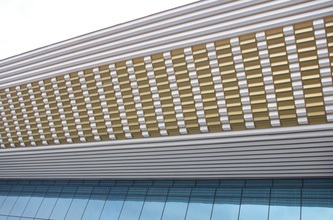 Maybe because gold has such obvious symbolism, its use as a color in building materials is inevitably tacky. 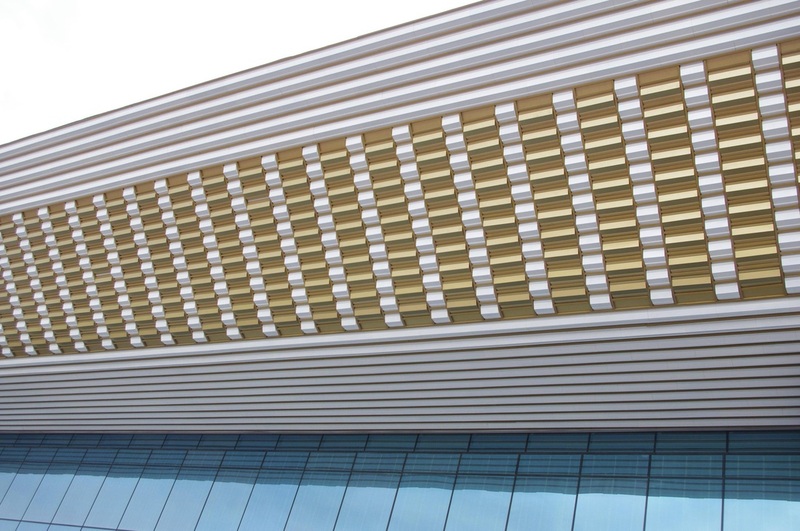 Unless you're a king with an actual gold-plated palace, choosing to accent your building in gold means you're probably not using the real thing, which means you're trying to look rich when you're not rich, which, well, might be the definition of tacky. Not coincidentally, the 1970s and 80s also have a strong association with the t-word, and it was these awkward decades that brought us an epidemic of aluminum plating, coated in faux-gold. 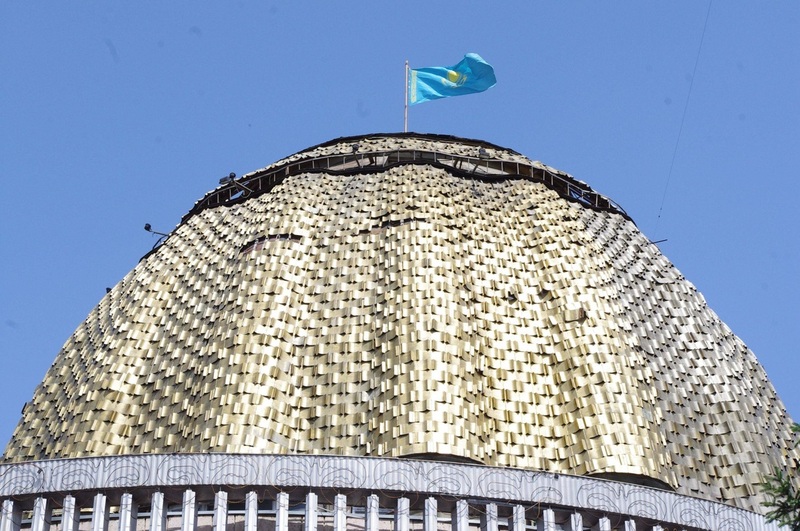 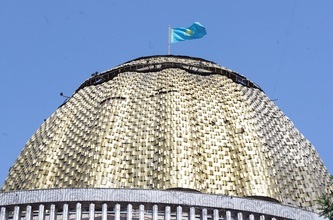 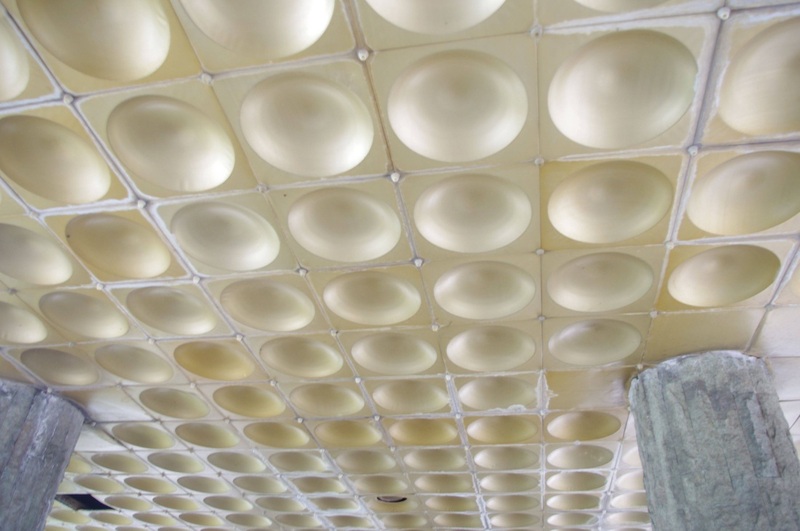 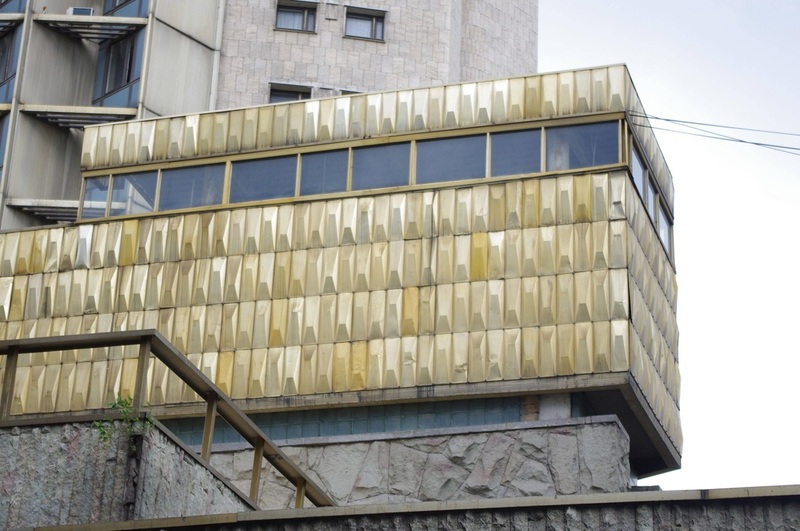 Almaty's most iconic building, the Hotel Kazakhstan, is of course the worst offender, its roof topped with a gold crown, its lower levels cladded in gold prisms and even the ceilings of its lower concourse tiled in concave gold dimples. 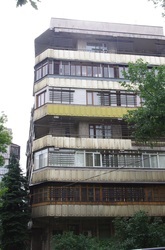 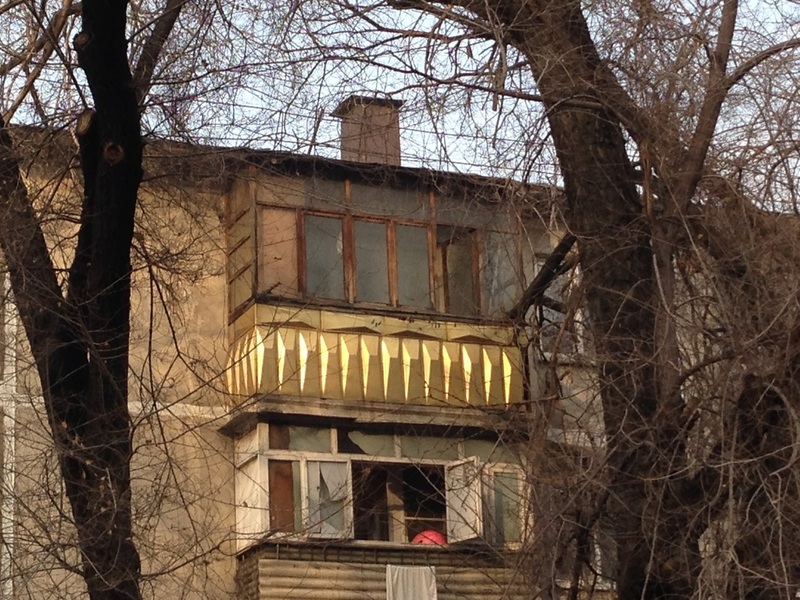 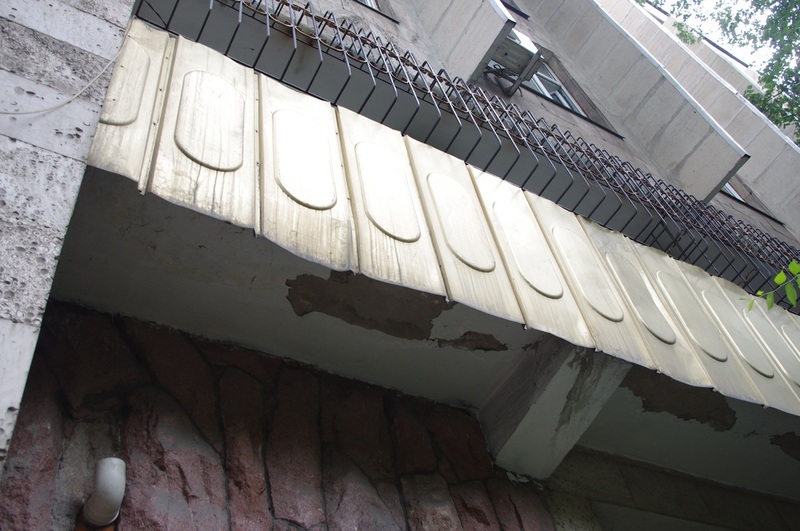 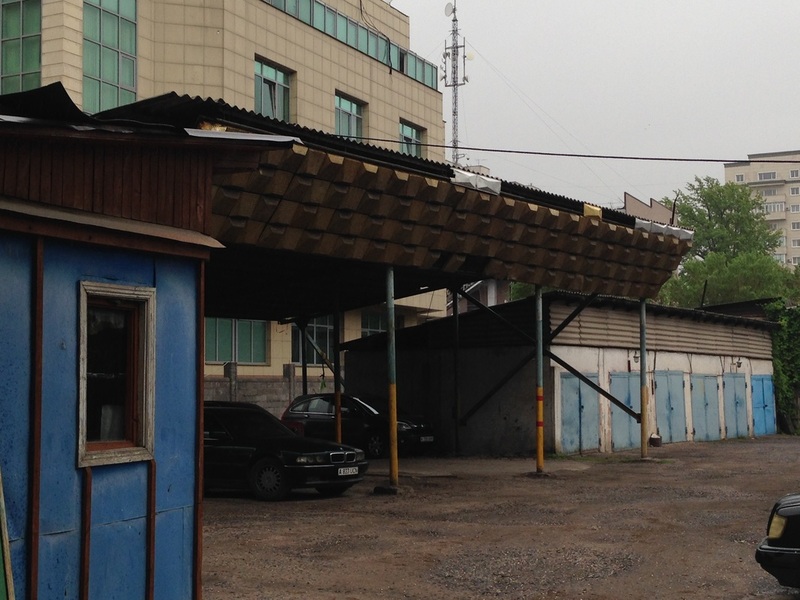 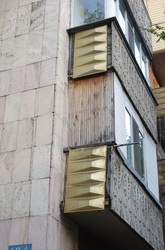 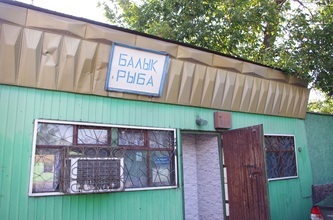 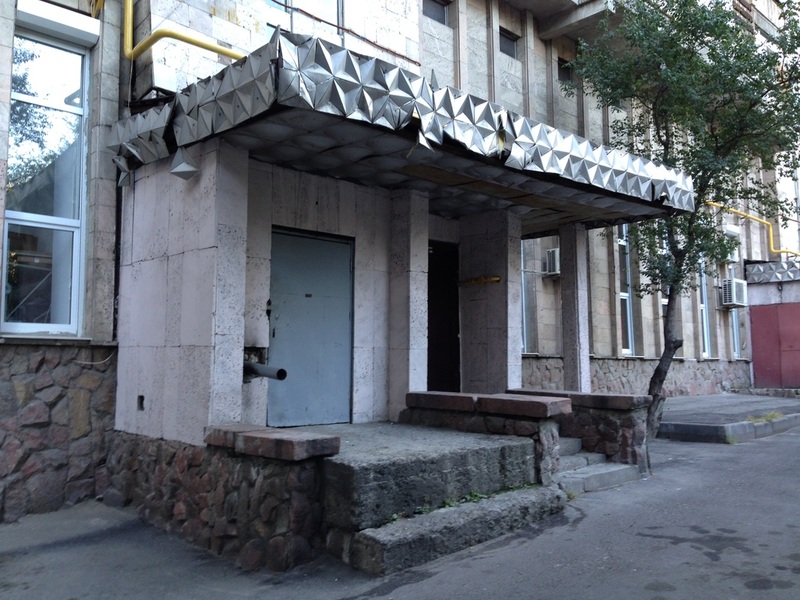 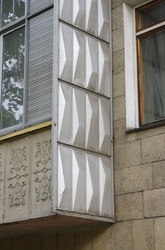 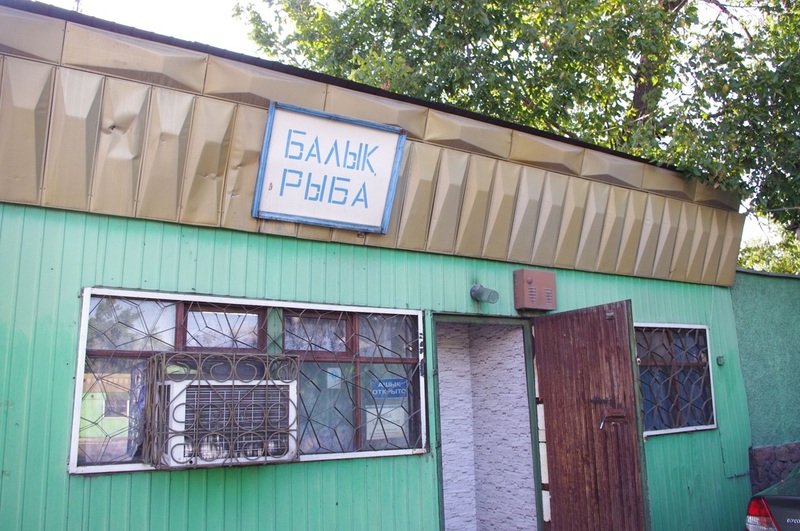 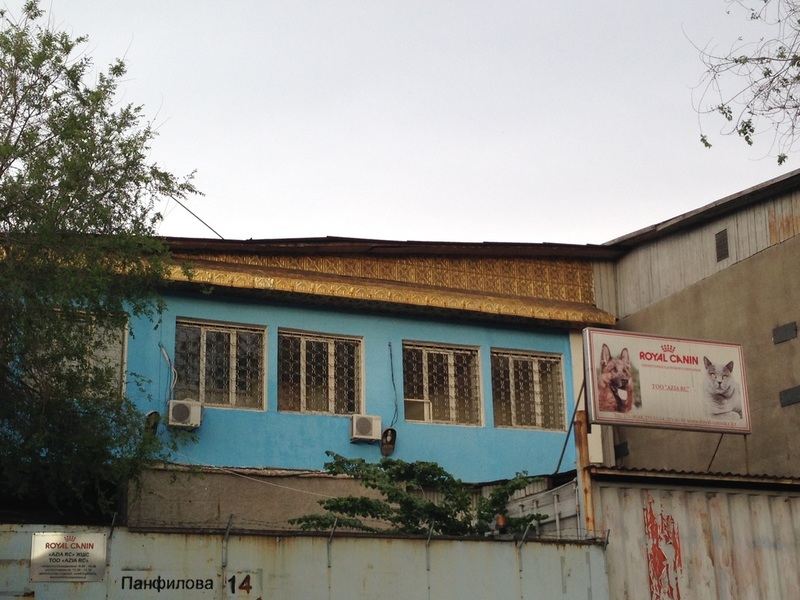 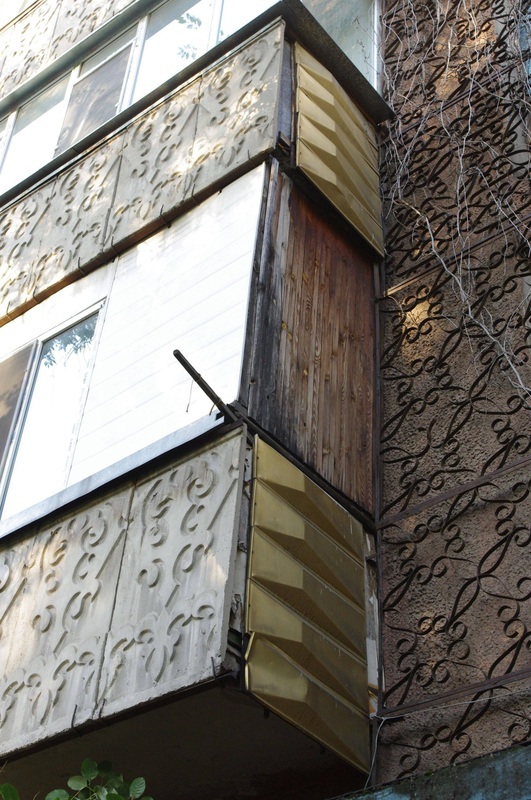 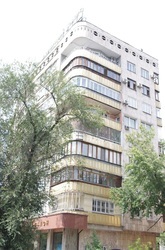 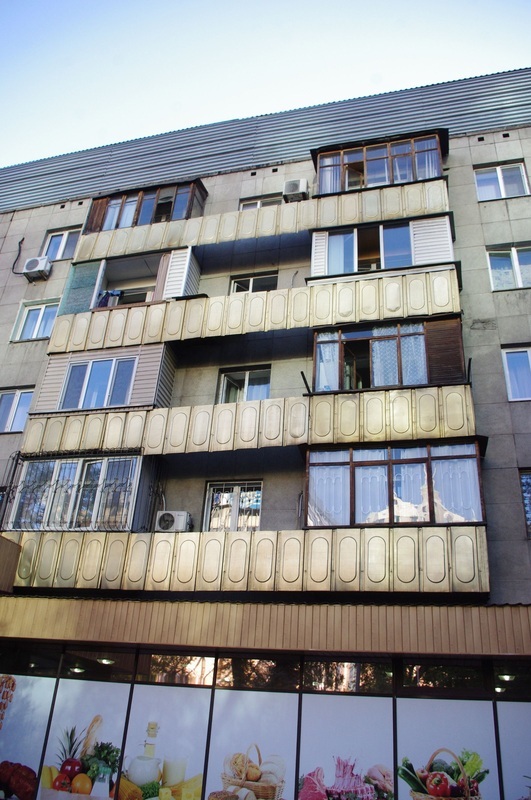 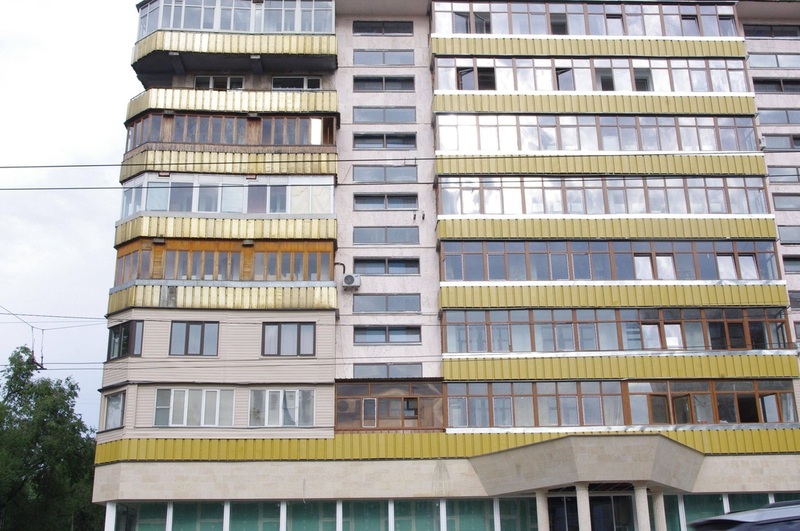 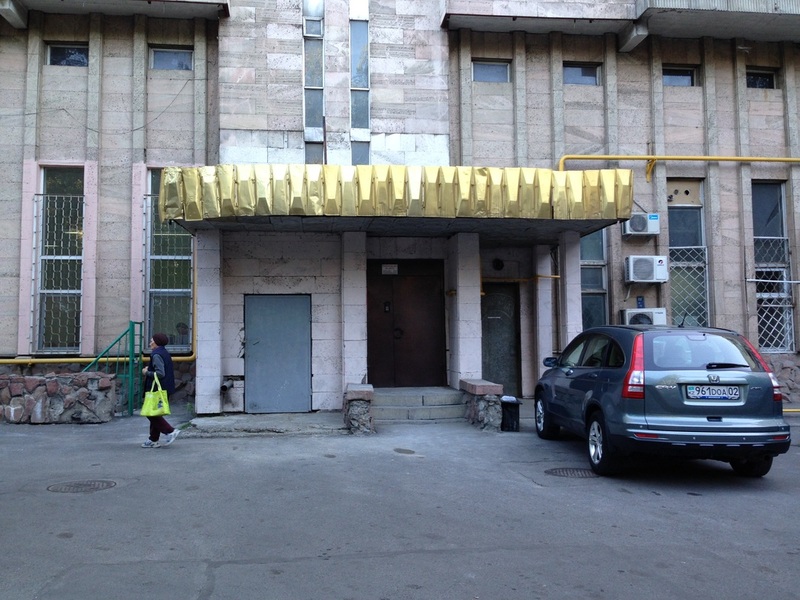 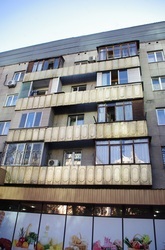 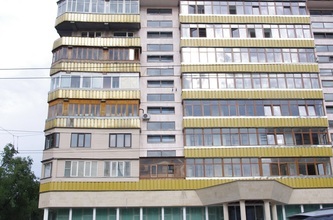 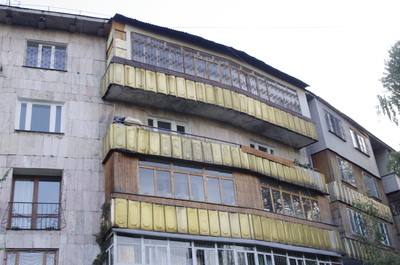 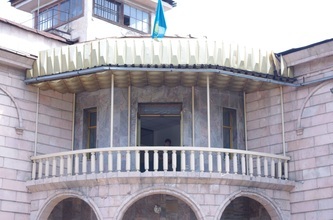 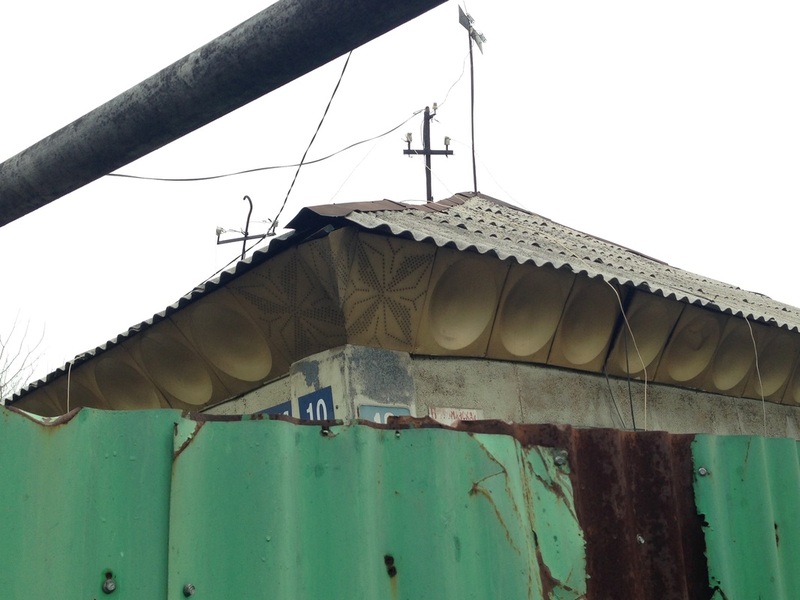 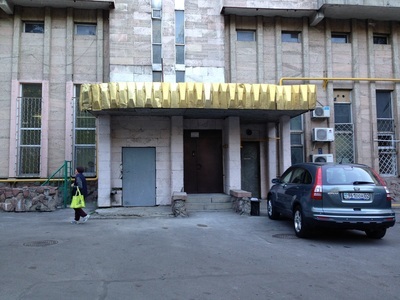 The same aluminum panels that were used in the Hotel Kazakhstan show up often in other parts of Almaty, like over the balcony at a fire station or on the awning of a dried-fish shop. The Palace of Pioneers and the Palace of the Republic are other famous golden buildings in Almaty, both ехamples of how the Soviet revolutionaries sought to adopt the symbols of the monarchy it overthrew (like the palaces of St. Petersburg) to glorify the masses. But while the Romanov's surely had a ton of real gold in their mansions, these people's palaces were coated in gaudy fish-scales with cheap gold paint. 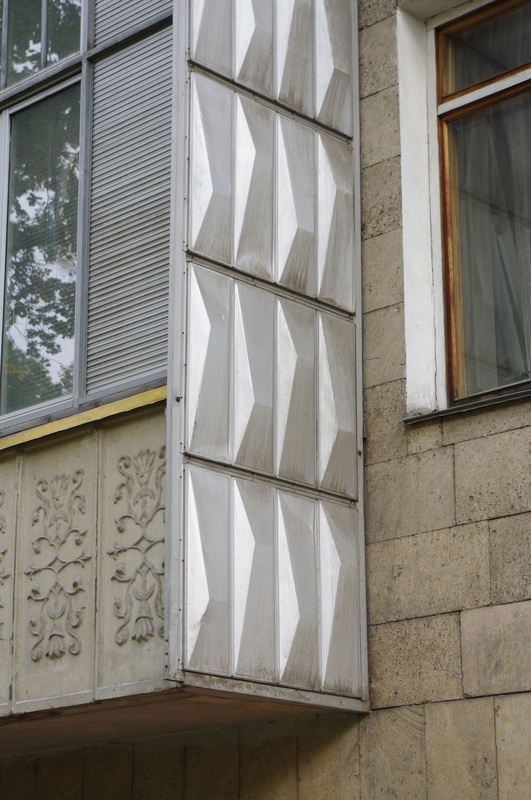 The effect is perhaps opposite of what they intended: Glory to the Proletariat, through Aluminum Sheets!